A coalition of liberal Jewish groups is conducting a campaign to inform political candidates that Jewish voters don't actually care about Israel. Instead after a survey of a few thousand respondents at Jspot, they announced that what the majority of American Jews really care about is the environment. Another way of putting it might be, "Stop talking to us about dead Jews in Israel, we want to hear about global warming." While millions of Jews were being butchered in Europe, too many American Jews sat by with folded hands, too busy worshiping at the altar of FDR's liberal policies to care about the ashes drifting over Auschwitz. When some activists and politicians, Jewish and Non-Jewish tried to oppose the FDR administration and fight for the rescue of Jews, the response from the Jewish establishment came down to, "Stop talking to us about dead Jews, we want to hear about the New Deal." One is reminded of G-d asking Kayin where his brother is while Kayin replies with, "Am I My Brother's Keeper?" While Iran is making plans for the nuclear annihilation of millions of Jews, these groups are desperately working to change the subject. The thread that runs through the agitation of these left wing groups such as Jews United for Justice and Jewish Funds for Justice is that we need to stop focusing on Israel and start focusing on the rights of Mexican illegal aliens and polar bears. 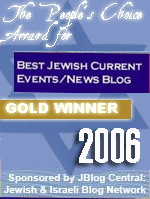 To stop focusing on Jewish issues and start affirming our loyalty to the liberal agenda by building up the socialist state and continuing FDR's legacy of expanding the bureaucracy-- drowning out the screams of the dying with sociological field studies on health care for illegal aliens in L.A. While under multiculturalism all races, ethnicities and religions may work to help their own, of the Jew liberalism still demands the same old blood price set out by the great liberal progressives like H.G. Wells and George Bernard Shaw; for Jews to "Stop being Jews and start being human beings". The poison pulsing through the veins of the self-hating Jew demands that he sacrifice his brother to prove his worth to his masters. To demonstrate that he is more than a Jew by focusing on the needs of humanity while showing callousness toward his brother and shutting out the cries of his brother's blood rising from the earth. This is the sacrifice of Kayin. This is the sacrifice every Jewish political organization which has turned its back on its dying brethren across the world in order to win respectability with its political masters has made. This is the political sacrifice that Democrats need Jews to make in order to bring them fully under their umbrella as they disengage from supporting Israel and move toward opposing it. To cross that Rubicon they must ask their own Jewish supporters which they care more about, dead Jews or the environment. Dead Jews or the traditional liberal agenda. Kayin brought his sacrifice of the earth. The Jewish groups which preach apathy toward our brothers in the face of apocalypse bring their sacrifice of ashes. 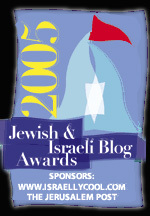 These left wing groups which at their extreme end are affiliated with Rabbis for Human Rights, an organization that has openly promoted terrorism, displaced Jewish farmers and smeared Israel at Durban are the long tail of an effort advanced by such mainstream sources as the Jewish Week, an organ of the UJA Federation and the Jewish federations seeking funding to cover the costs of their massive bureaucracies and the six figure salaries of their executives. And the survey shows exactly what they want it to show, that what American Jews most want is more money for the assorted social welfare projects the UJC specializes in and of course for its assorted executives. The ultimate goal remains the same. To repackage the secular liberal agenda as Jewish so that Democrats can continue to co-opt the Jewish vote without alienating liberals and Muslims by taking a stand against the greatest planned slaughter of Jews in this generation. All the while any authentic Jewish agenda meant to help Jews in Israel or America is silenced and stifled, dismissed as extremist and narrow. The votes line up to agitate for illegal aliens, polar bears, gun laws, abortion, public schools in the ghettos and turn their backs on the falling rockets and the burning soil. And as it was with FDR, once again at the voting booth, Kayin's sacrifice will be made. Again I say, there is a reason that Eliyahu must come and exclude those wrongfully included and include those wrongfully excluded. Here is more proof as to why. I think it is that simple really. I thought those who turn their backs on Torah were excluded.